Inkymole: Sarah The Witch Joins The Studio. Sarah The Witch Joins The Studio. 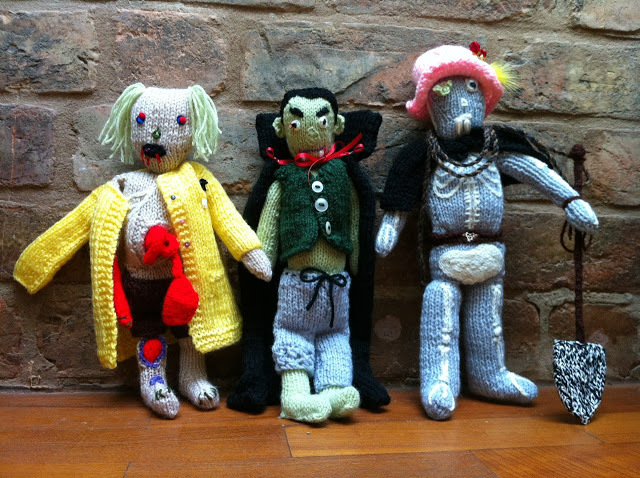 So, my new dolly Sarah made by Moody Voodies has joined me, the bald babies and the knitted zombies in the studio! She is hand-made, arrived with her own name, and is a witch. She carries her own spells and broom, and she is a birthday present from @jules1365 who's my oldest mate! (Thanks Jules. We could hardly believe we'd made it to 30, let alone Instagram). 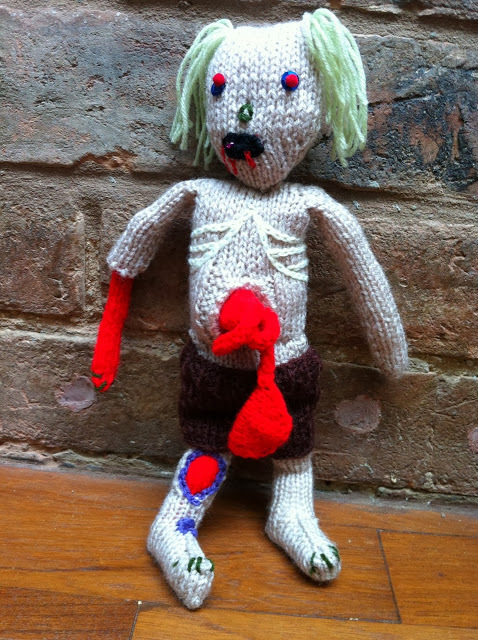 Sarah joins my Mum's hand-knitted Zombie, Camp Skeleton and Vampire, my Bald Broken Babies, some new Ghosts (a gift from @jules1365's son Elliot) and the birds I made when I was 10. Slave Doll Flora (who also came with her own name) is in the 'BiG ROOM' of the studio - where larger-scale things and mass-productions occur - and she was bought at a craft fair on a very sunny day in Los Angeles a few years ago. She's made by Shari Enge aka The Old Soul Doll Company, who we were sad to find had disappeared when we tried to find her a while ago - we wanted another dolly!